Moeen breaks the pattern. 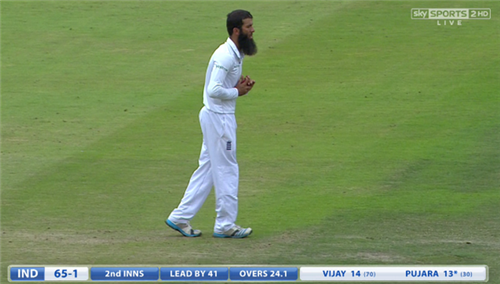 Ballance gets his single, thick inside-edging Jadeja past short-leg, but Moeen gets a single of his own. Ballance completes a fine half-century off the part-time spin of Vijay. Opts to keep his shirt on during the celebrations. Saving that one for the century, perhaps. Ballance and Moeen negotiate the final over of the session without alarm. 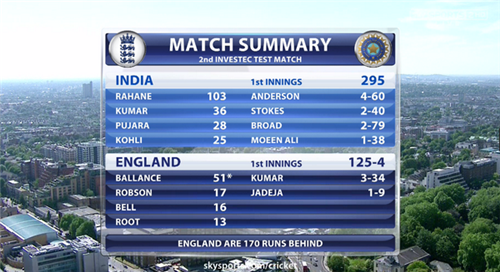 But it's another decent one for India, winkling out another couple of key wickets. 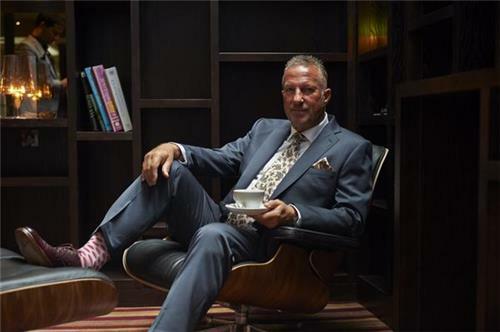 [tea]England struggling against some accurate bowling in tricky conditions. Ballance has been excellent, continuing to look the part after moving up to number three. 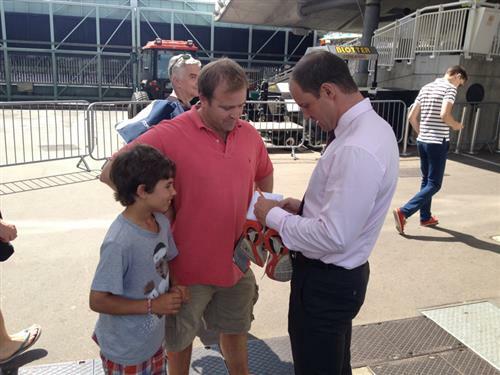 They've got a lot wrong recently, but the selectors deserve credit for that one. 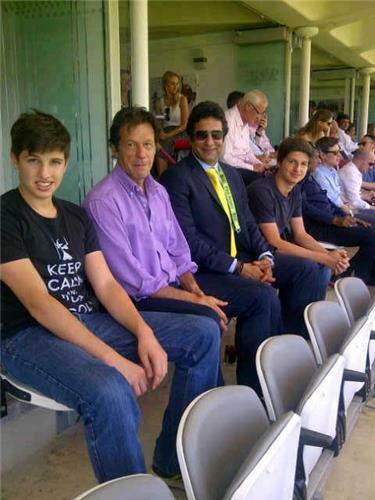 “@ImranKhanPTI : Wasim Akram joins us at Lords. 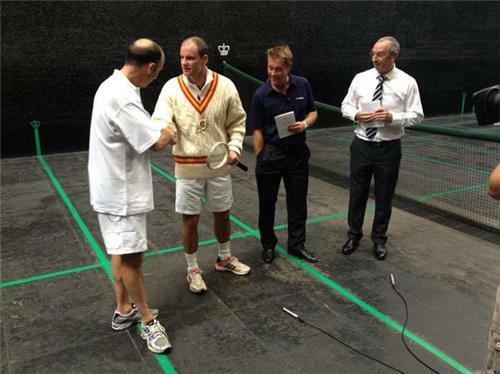 http://pbs.twimg.com/media/Bs1upyQIYAA0iDT.jpg” Great pic ...fabulous cricketers !!! Really not convinced by this short-ball tactic from Broad, even more so when a bouncer is so high and wide it evades Prior and sails by for four byes! Harsh on Prior. 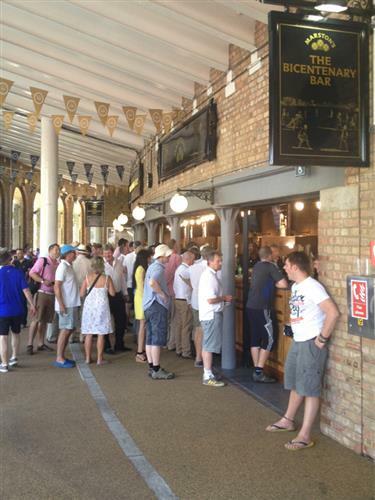 Time for drinks and perhaps England to revise their plans? Stokes continues after the refreshments. Pujara drives through the covers for his first boundary in fine style, eased it between the fielders. 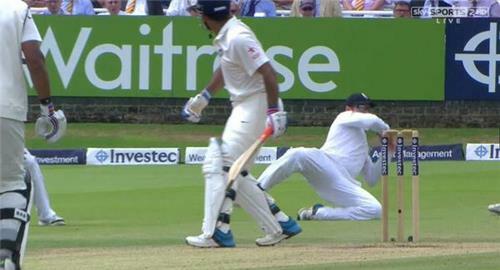 Broad beats Vijay outside off-stump with a bit of extra bounce. No need to be playing at that. Vijay collects four later in the over with a leg-glance as Broad gets one to swing towards his pads. Plunkett into the attack for the first time. 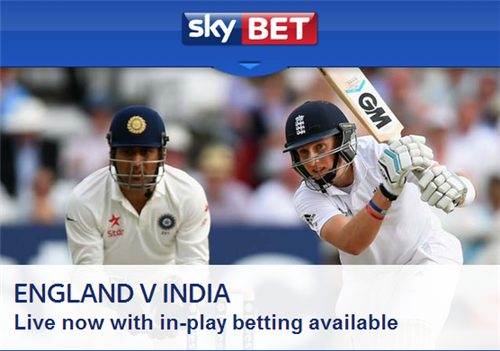 [mobile]Find all Sky Bet's in-play odds on England v India here. Plunkett's second ball is cut late and fine by Pujara for four. 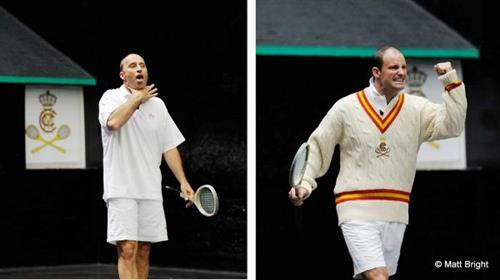 Excellent shot, there was not much wrong with the delivery. Pujara content to play out the rest of the over in defensive mode. 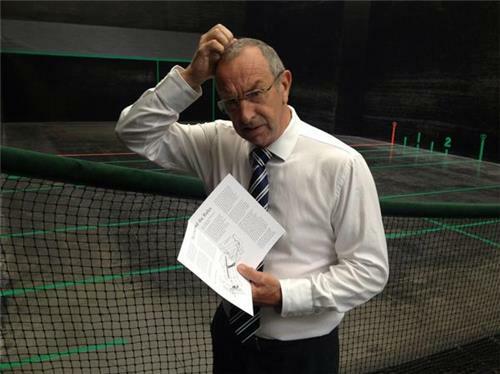 Broad is now into his 84th over of the series already. Vijay collects a drop-and-run single to cover point to rotate the strike. Pujara is timing it well today, pushing down the ground for three. Plunkett is generating some nice shape, swinging it away from the right-handers. His pace is down quite a bit, around 81-82 mph during a maiden to Pujara. England try some spin now. Moeen comes on. Will it turn? Not much turn during a quiet first over from Moeen. Vijay bumps a full toss back down the ground for a single. Two slips and a gully in place as Plunkett focuses on line-and-length. Vijay happy to leave alone outside off-stump where possible during a maiden. Plunkett is punished by Pujara for a couple of poor deliveries, both disappearing for four. The first is down the leg side and helped on its way, the second is wide and full outside off-stump and driven the covers. 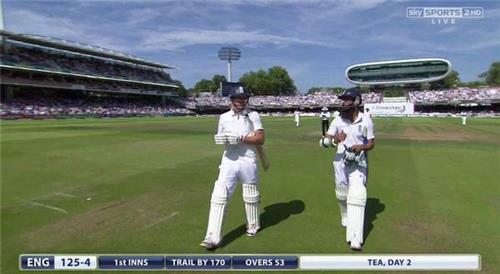 Both batsmen are happy to use their feet to Moeen. Three singles in the over, all on the leg side. Anderson is back on for a pre-tea burst. Probably two overs. Vijay plays out a maiden from Anderson in defensive fashion. He's scored 16 off 78 balls so far. India lead by 53.